Conveniently located in Brookline, New Hampshire, just 3 miles north of Massachusetts and ten miles west of Nashua, New Hampshire. Campground catering to the Mature RV'r... open to all ages! Discover our clean and modern RV Park nestled in Southern New Hampshire’s Maple sugar country. Just minutes away from tax free shopping and historic landmarks Field & Stream is your quiet and restful retreat! Some of the area attractions include the Hollis Flea Market, Parkers Maple Barn, Pickity Place (The inspiration for Elizabeth Orton Jones, tale of “Little Red Riding Hood”), numerous Antiques and Collectible markets, and historic places. 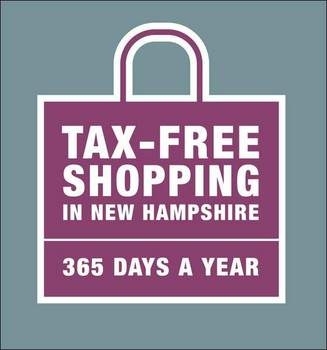 Tax free shopping at the Merrimack Premium Outlets, Pheasant Lane Mall or the many other shops! See a movie at the old Wilton Town Hall Theater! Hike the many trails at the Beaver Brook Association or for the more advanced hiker, try hiking the many trails to the summit of Mt. Monadnock, or just kick back and relax and enjoy the beautiful country town of Brookline.